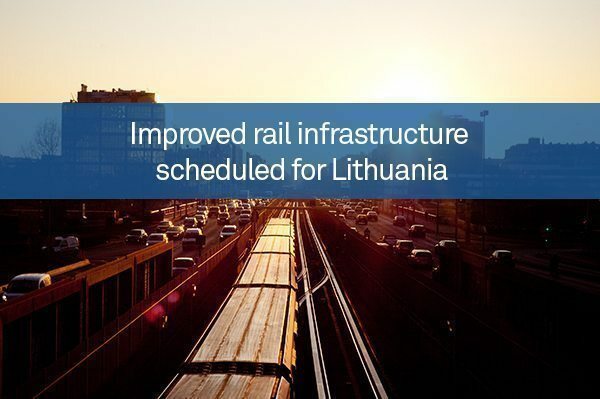 Lithuanian Railways (LitRail) and the European Investment Bank (EIB) have agreed a €68 million loan to support improved rail infrastructure in the country. The EIB first worked alongside LitRail in 1996 and has supported the company in modernising locomotives and upgrading general infrastructure, with existing work consisting of railway infrastructure upgrades and renewal schemes across the country. The infrastructure schemes feature track duplication, renewal and electrification on several sections of the Kena – Vilnius – Kaisiadorys – Radviliskis – Klaipeda line. The project will address the renewal and extension of the Klaipeda railway node, while also renovating traffic safety and noise abatement measures. Once it is complete, it will allow for the removal of bottlenecks and boost the capacity of lines. This way, 1050m long 6000ft freight trains can use the tracks successfully. As well as this, the rolling stock component includes seven three-car diesel multiple units that are designed for passenger transportation. Thanks to these new units replacing obsolete rolling stock, the travel industry will be able to benefit from improved commercial attractiveness, efficiency, availability and environmental performance. EIB Vice-President Jan Vapaavuori, responsible for operations in the Baltic countries, also explained that the EIB is glad to contribute to the modernisation programme, as it will benefit Lithuanians who use the railways regularly. Mr Vapaavuori explained that sustainable forms of transport have been a key target for the EIB and will continue to be move in the same direction in the next few years.